The difficult 3rd album, I guess we are no longer allowed to call this Magnetic Fields and must refer to it as Les Chants Magnétiques. This was actually my favourite album as a kid, but I must say I don’t really like it now. It all sounds very dated, whereas the two preceding albums are still quite timeless. Thankfully I forgot all about Part IV, it still sounds good, although I remember the China Concert version sounding much better. I seem to recall seeing a video for Part II where JMJ was playing a synth in an igloo, which was of course the thing to do in the early 1980s. I don’t remember much else about it, I must hunt it down on the intertube. I really do miss 20 minute tracks that would take up the whole side of an album, damn you compact disc! An aside; What a great cover! 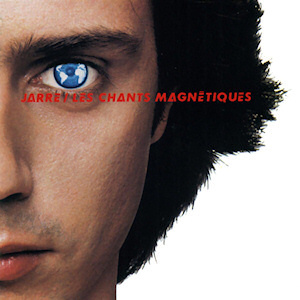 This entry was posted in Uncategorized and tagged Jean Michel Jarre. Bookmark the permalink. In what way like Engelbert Humperdinck?